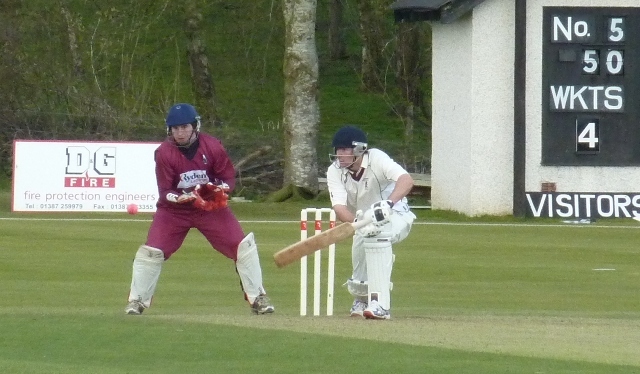 APD Dumfries lost their Scottish Cup match against Watsonians at Benfield Park Nunholm on Saturday by 56 runs. 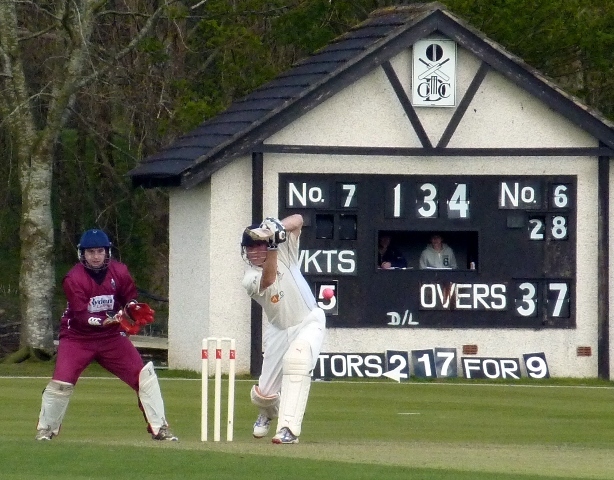 Batting first the Edinburgh side scored 217 for 9 with a 125 run fourth wicket partnership restoring their fortunes from 39 for 3 and ultimately settling the course of the match. At three wickets down, and with Pat Druce having bowled South African professional Symes for just 5, Dumfries had their opportunity. However Scotland present and past, Ewan Chalmers with 90, and Craig Wright with 40 shared a century partnership and the home side missed crucial chances to break the partnership early. 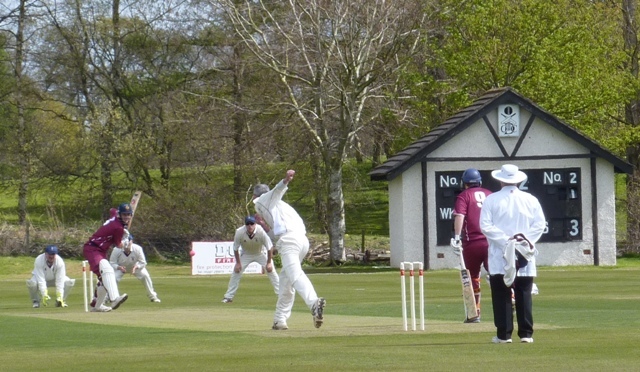 It took a good catch by Alan Davidson to deprive Chalmers of a deserved century and Watsonians lost further wickets in reaching 217. Dickie’s Bar Man of the Match Druce took five wickets, and Alan Davidson and Joe Clarke two each. 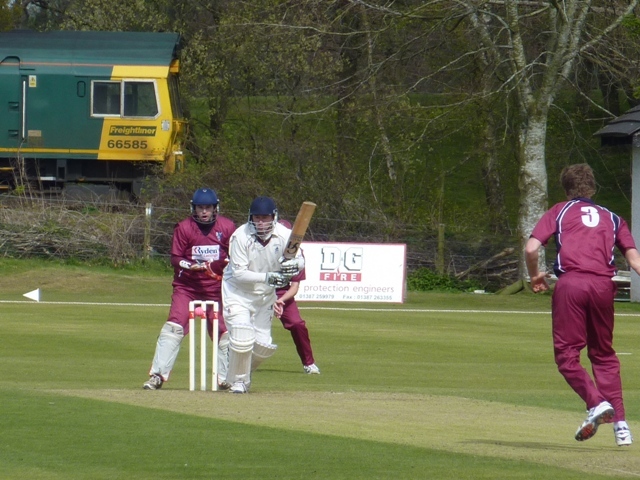 Dumfries had a similar difficult start at 55 for 4 but a partnership between Joe Clarke and Drew Dawson edged the side back into contention. However both were out with the score at 134 and any opportunity was lost as the side ended on 161 all out chasing runs in the remaining overs. 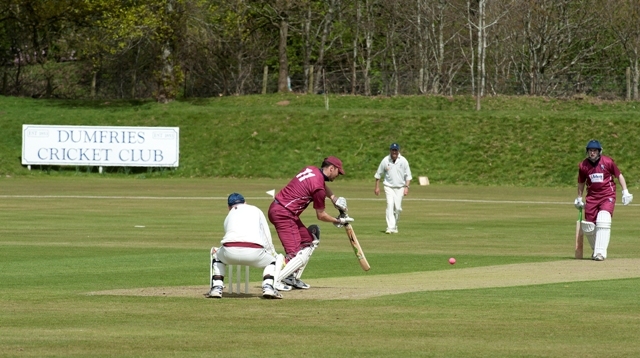 Clarke top scored for Dumfries with 51. 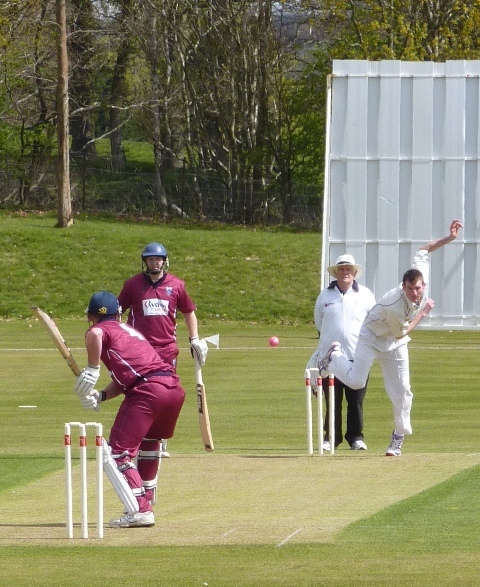 Peter Legget did the early damage for Watsonians with three wickets. On Saturday, APD Dumfries play at Penicuik also in the Scottish Cup. On Sunday a young Brammer Dumfries team lost at Kelburne in the Sunday League. Openers Niall Alexander and Chris Bellwood scored 27 and 54 respectively but accurate bowling saw wickets tumble for a total of 128. Willie Allan hit 78 not out for Kelburne and Solarae Man of the Match Alexander took the only two wickets to fall to delay the outcome. On Saturday the seconds, CWE Nunholm, play Galloway at home in the Western Cup. The Nunholm club’s junior coaching sessions are running on Monday evenings 6:15 to 8. These are also open to non-members, boys and girls. For more details on these and Senior, Midweek and Women’s cricket contact Trefor Williams (01387 256455), or email dumfriescricketclub@gmail.com, call in at training on Tuesdays and Fridays or see www.dumfriescricketclub.co.uk .